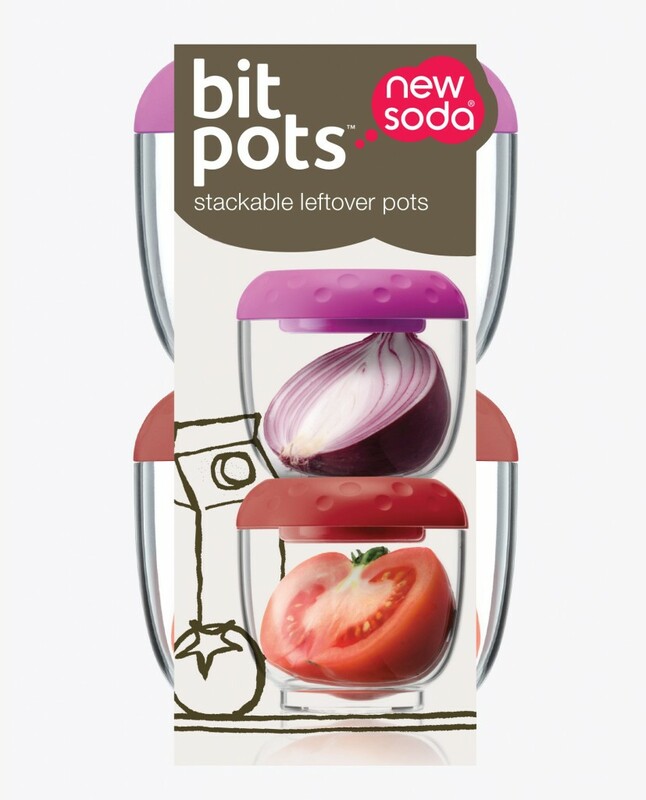 bit pots™ are perfectly sized round pots to store half lemons, limes, tomatoes and onions, together with leftover salad dressings and all kinds of ‘food bits’. 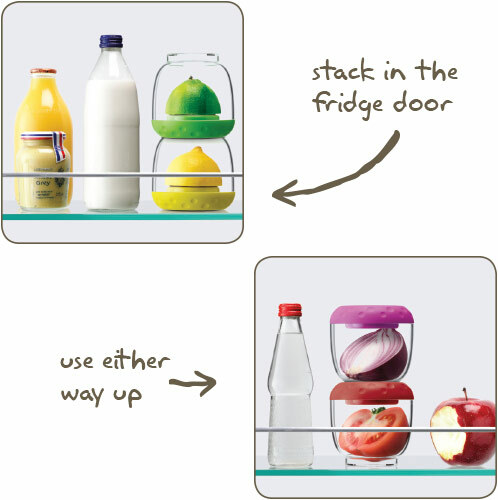 bit pots™ are unique in that they are designed to stack in the fridge door not on the fridge shelf. So that means no more knocking them onto the floor when you go to reach behind them for something else. bit pots™ work both ways up, either lid down for use as a citrus keeper or upright for use as a traditional storage pot.